Is the air in your Broomall, PA home humid and uncomfortable? Call John McCuen Plumbing Heating Air Conditioning, Inc. at (610) 325-9395 to get professional dehumidifier services today! Or click here to save using our online deals and coupons. In every home in Broomall, PA, and the surrounding areas, there will always be a certain level of moisture. This moisture allows for the AC unit to function properly. In some instances however, homeowners may find themselves with excessive amounts of moisture in the home. When this occurs the air can be humid and stuffy. At John McCuen Plumbing Heating Air Conditioning, Inc. we offer industry leading dehumidifier services that will restore a comfortable environment in your home in no time. Don’t take our word for it. 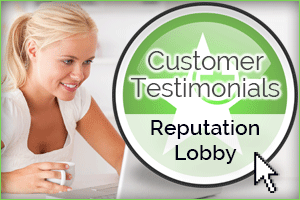 See what our past customers have to say here! Dehumidifiers are used indoors to bring down humidity levels for a variety of reasons that range from increased comfort to better health. While dehumidifiers are available in many different sizes and features, they share similar operating systems. To remove excessive moisture from the room, a dehumidifier uses a fan that pulls in air and passes it along interior cooling coils. As the air passes over the cooling coils, they lower its moisture levels by causing a drop in the air’s temperature. After moisture is reduced, the air is then released back into the room. By going through this process, the air in your home will once again be comfortable and efficient. Why Is A Dehumidifier Beneficial For Your Home? High humidity levels can be problematic for a number of reasons. During the hottest days of the year, humid air can feel especially uncomfortable. Rooms that felt spacious just a few weeks before the humid weather arrived can start to feel stuffy and claustrophobic. You might even notice a musty and unpleasant odor or wet spots where they do not belong. While most people can deal with some discomfort, the top reason why a dehumidifier can play an important role in your home is your health. One of the most dangerous aspects of ignoring high humidity levels is rapid mold growth. Mold spores already live in your home’s air. All they need to grow into potentially harmful colonies is moisture. Whether it is visible or not, mold can affect both your health and your home’s structure. The problem with removing it manually is that it is highly likely to come back in the same spot unless the excessive moisture is removed from that area. Dehumidifiers are great for preventing mold growth because they can help keep your home’s humidity levels low on an ongoing basis. Beyond contributing to mold infestations, humid air can worsen asthma, trigger severe allergic reactions, affect your body’s cooling system, and even lead to heat stroke. Faintness, difficulty breathing, and dizziness are just a few examples of health problems that can result from high humidity levels. If you notice that you or your family members seem to come down with uncomfortable symptoms as soon as humidity levels pick up outdoors, chances are that you need a dehumidifier to control the air inside of your home. Although you can buy and install a dehumidifiers, hiring professional installation service is the best way to get the most out of your new equipment. Generic dehumidifiers that work in limited spaces are often not powerful enough to handle larger apartments and houses, especially if they are located in a humid climate. Our experienced technicians can help you choose the best dehumidifier for your needs, teach you how to use your new unit effectively, and install it on your schedule. Additionally, we can inspect your home and identify the best location ensuring the most efficient functionality possible. No matter what your needs may be, you can trust in our professional services today! Is humid stuffy air driving you crazy in the Broomall, PA area? Call John McCuen Plumbing Heating Air Conditioning, Inc. at (610) 325-9395 and get professional services today!